I first met Gene back in 2008, when I began attending the weekly automotive gathering in Irvine California known as Cars&Coffee. By virtue of the parking space I selected that first morning, I found myself in proximity to a red Porsche speedster and a dark green metallic Isuzu Vehicross. Within several events, formal introductions were made and I got to know the owners of the two cars; Jeff, the owner of the red speedster, and Gene, the owner of the Vehicross. And within a couple more weeks, a fourth member joined our newly assembled group; Dave and his slate gray, 1984 Porsche 930 Turbo. Since those initial meetings, the four of us have become good friends, and can usually be found parked as a group at each weeks event. 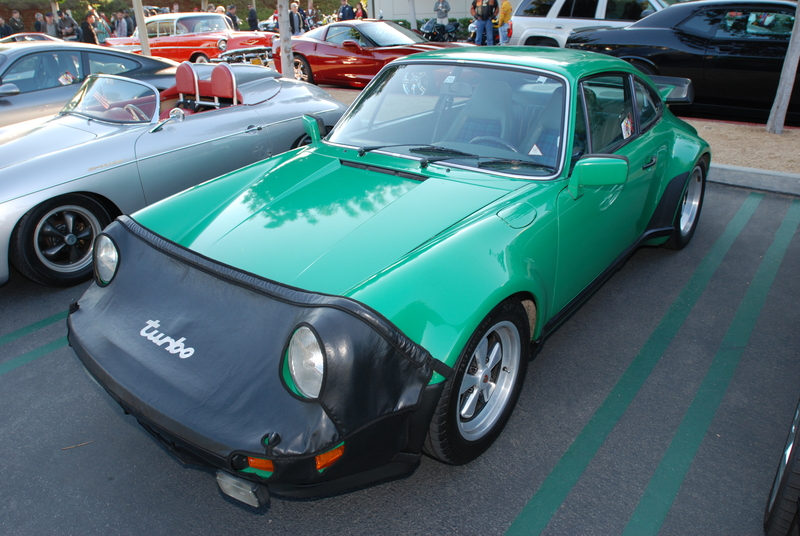 Over time, we learned of Gene’s dream to one day own a Porsche 911. But his dream didn’t stop there; within the past 6 months, his focus shifted to mid to late 1980’s vintage 930 turbos. And as far as color was concerned, India Red quickly rose to the top of his list. And what better place than Cars&Coffee, to check out the weeks assortment of Porsche turbos, in a variety of colors, model years and options. And so the search began. Gene would share his latest leads each week, and ask for our collective opinions on his latest finds. We watched him experience the frustrations we had all experienced firsthand; of locating a car only to learn that it had just been sold. 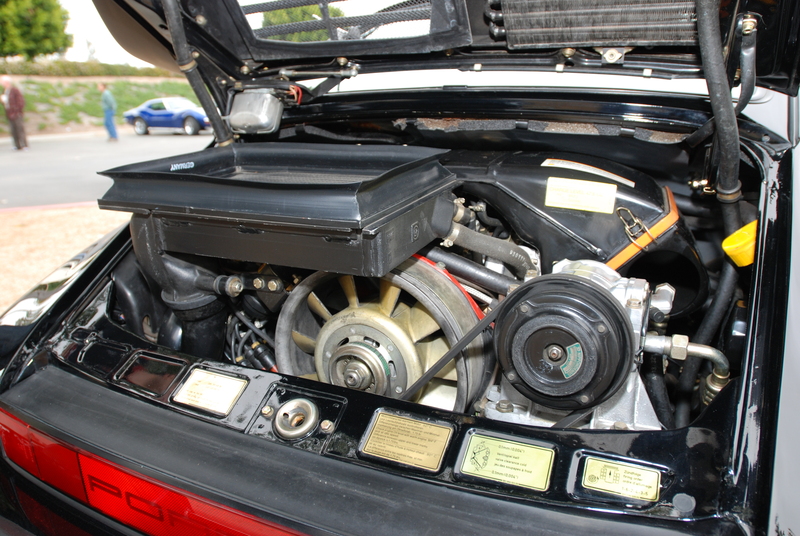 And then there were the dry spells, where no new 930 Turbos were to be found. 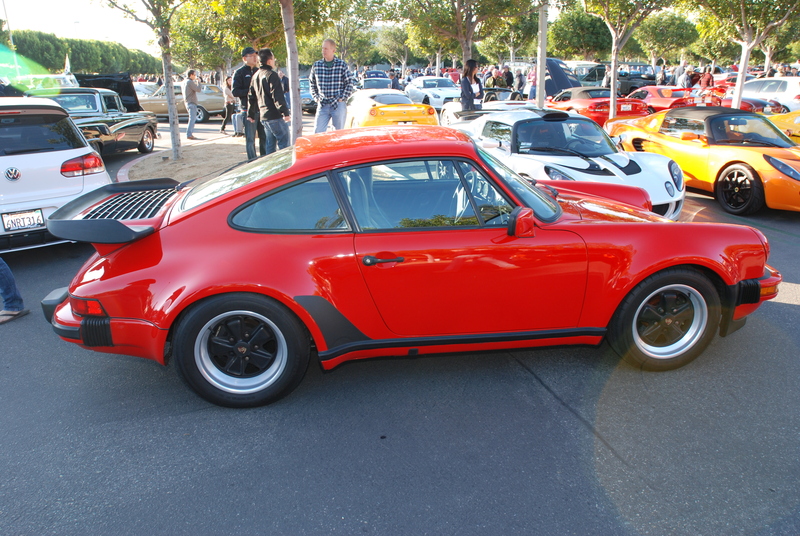 Gene then expanded his search to beyond California, where he soon found several more Porsche 930 turbos of interest. 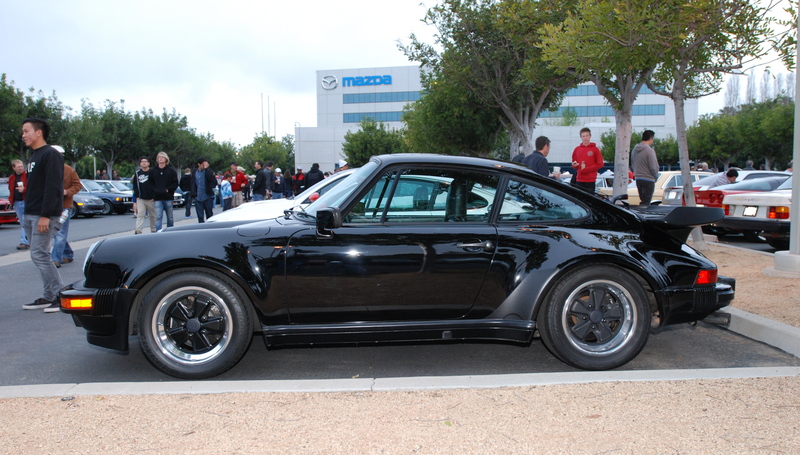 However, it was a one owner, very low mileage (25K), black on black 1987 Porsche 930 Turbo located up in Washington State that got his full attention. After multiple conversations with the owner and some negotiating, a purchase strategy was put in place contingent upon the outcome of a PPI (pre-purchase inspection). 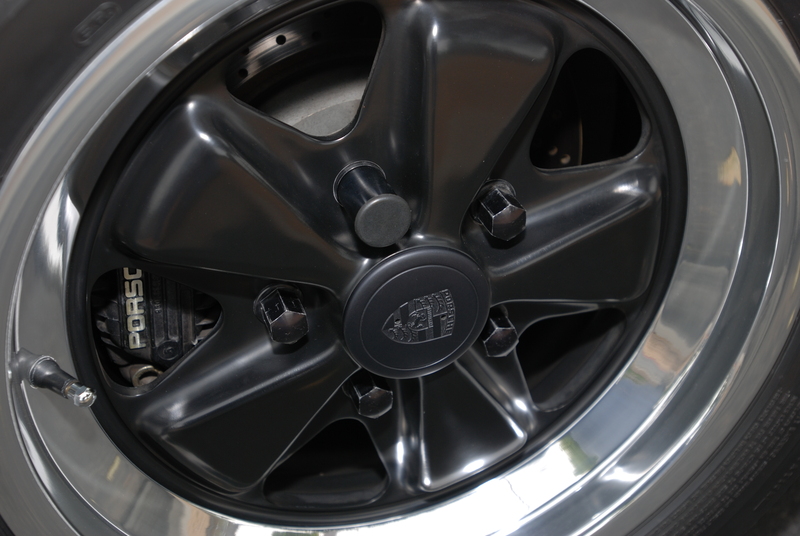 Gene had arranged for the PPI to be performed by a local Porsche mechanic up in Washington State. Upon completion, the mechanic’s report would be sent to Gene for review. Fortunately the car had been very well maintained and cared for, so it passed the inspection with flying colors. 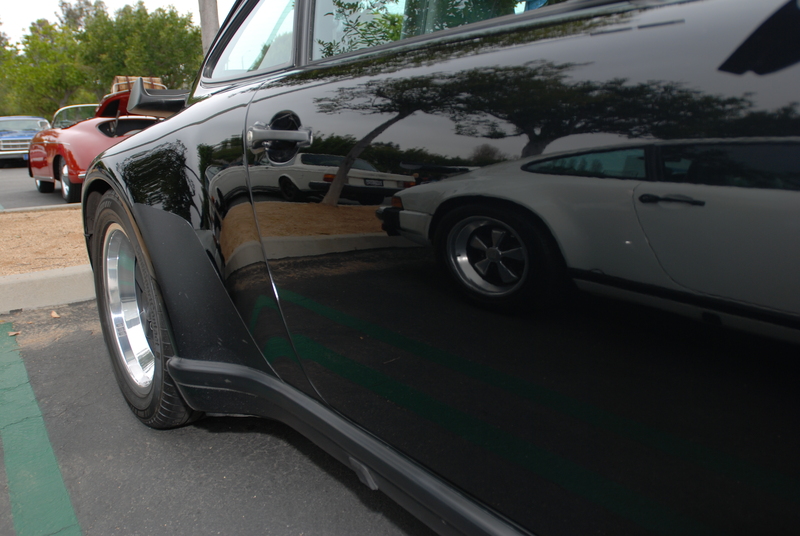 The negotiations with the owner were finalized, and back in early February, I received an email one evening from Gene, sharing with me that he was now the owner of the black on black, 1987 Porsche 930 turbo. His next challenge would be to arrange for the shipping of his new purchase down to Southern California. After researching the options available for transport companies who offer enclosed trailers with lift gates and GPS tracking, he made several calls to different firms requesting a quote. After comparing numbers, he decided to get on the waiting list with one of the high-profile vehicle transport companies. Unfortunately, after waiting for 2 weeks, he received notification from the company that they would be unable to accommodate his request for vehicle transport. By now, it was the end of February and Gene was still without his car. So he contacted another of the major automotive transport firms (Passport Transport), and luck was on his side. They had a truck that was scheduled to make a run up to the Seattle area, and yes, they would in fact be able to transport his car. Four days later, he received confirmation, along with several photos of his car being loaded onto their transport, and prepared for its journey to Southern California. 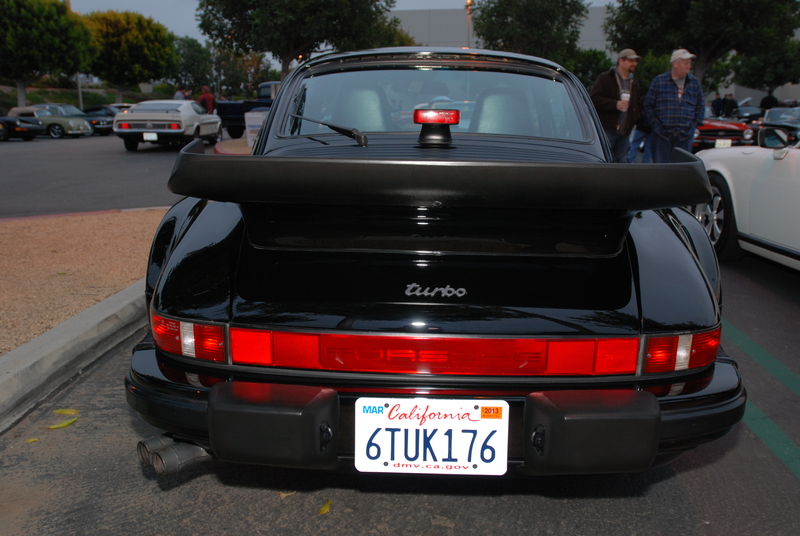 And on March 11, the transporter pulled up to Gene’s home, to deliver his long-awaited Porsche 930 Turbo. Now came the challenge of out-of-state vehicle registration and the nefarious California smog test. But first there was the matter of correcting the one single item from the PPI list; the replacement of the motors catalytic converter. Wanting to use only factory replacement parts, Gene went on a search only to learn that the local stock of factory 930 turbo catalytic converters was entirely depleted. 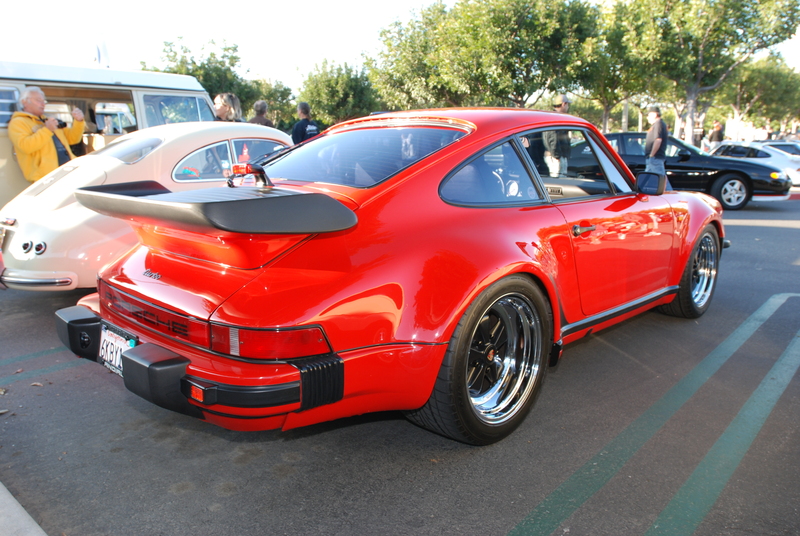 Fortunately within Southern California, there is a wealth of Porsche resources only a phone call away. After following up on a couple leads, he contacted Hergesheimer Motorsports. After explaining his situation, Gene was told that they could get him the new factory part within a week, and then install it so he could continue with his registration process. After the cat was installed, it was time for the smog test. Once again, good fortune was on Gene’s side, and the car passed without a hitch. So armed with his smog certificate and car sales documentation, it was off to the DMV to finally register his car, and get his new California plates. 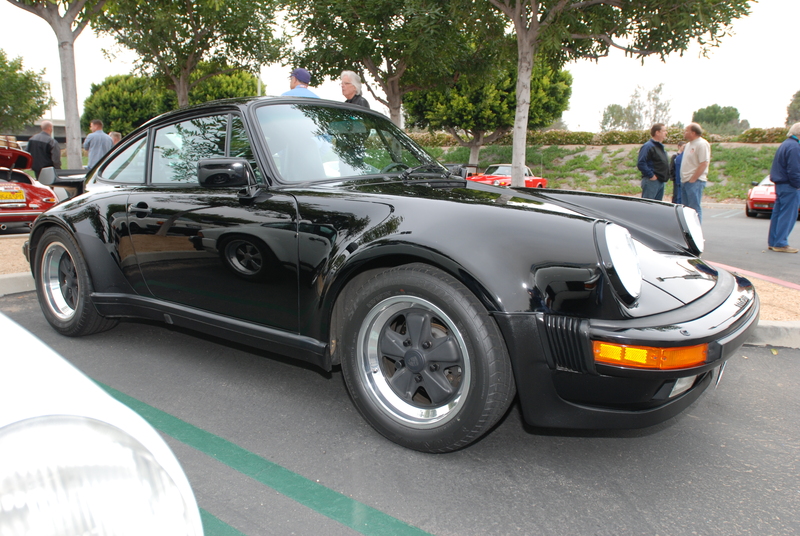 This entry was posted in Cars&Coffee / Irvine, Porsche 930 turbo and tagged Automobiles, Cars, Porsche, Porsche 930 Turbo by digitaldtour. Bookmark the permalink. I’m sorry for your loss, but thank you for sharing your story with me. It’s amazing how many people have shared similar experiences as you have described, and the bonds that are created and shared between fathers and sons and their cars. And in many cases, this passion has even carried over generations, with influences also coming from grandfathers. Personally, both my grandfather and my dad were influential in developing my interest in cars from a young age. It’s great to see that you have such fond memories of your dad and his Porsche.